If you're new to teaching paired text, or if you just want a few new ideas to add to your paired reading lessons, this post is for you! 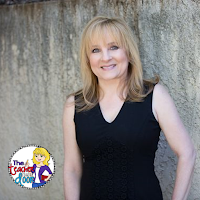 I'll explain how I use paired text in my upper elementary classroom step by step, to make it a really successful reading tool. 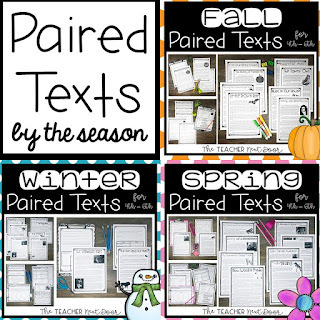 Before I ask my students to jump right into a paired text, I make sure they have the tools they need to be successful. One of the things I like to do is to focus on the skill of compare and contrast (click here for more ideas on compare and contrast on this blog). Reading similar mentor texts (picture books) is an easy and quick way to review. We might read two versions of Little Red Riding Hood or read two biographies - one on Jane Goodall and the other on Dian Fossey, to help us note the similarities and the differences between the characters, and the stories. 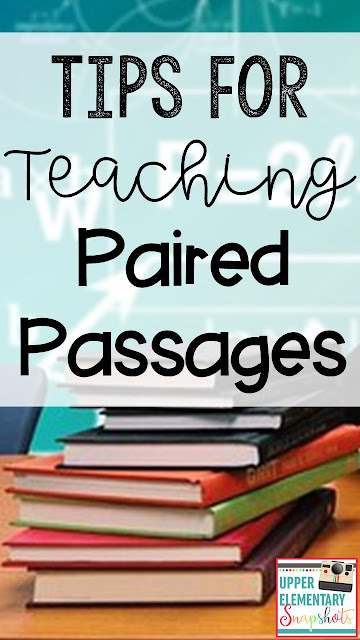 As we read these mentor texts and compare them, I make sure to use the term, paired passages, so students start to understand what that means. I do make sure to use enough examples that they know paired passages can be with fiction to fiction, nonfiction (informational) to nonfiction, or fiction to nonfiction. As with lots of teaching in the classroom, scaffolding is a great way to help students learn paired passage skills, first as a whole group, with lots of teacher guidance, and then with a gradual release of responsibility to work in pairs and finally to work independently, when students are ready. So, for the first few sessions, we do everything as a whole class, with lots of modeling and direction. 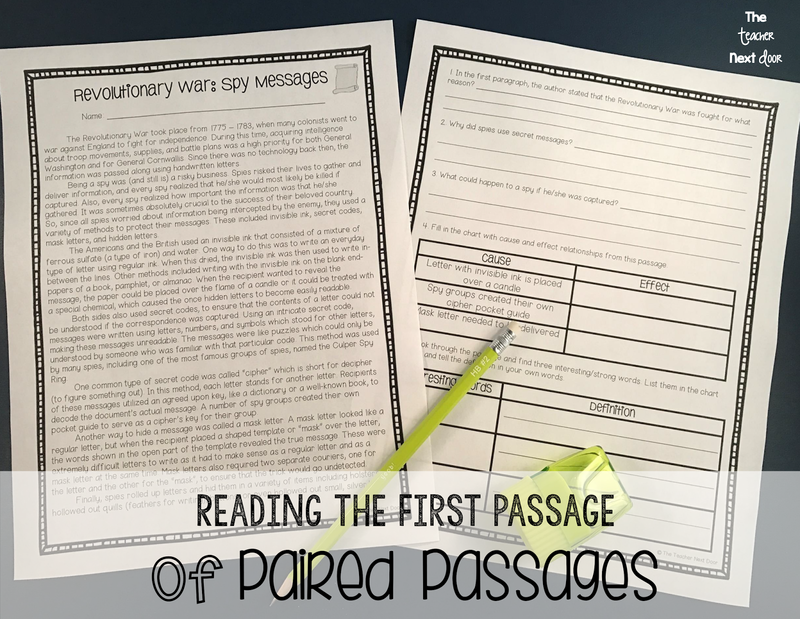 To start the process, we read the first passage together (the one shown above is a nonfiction account of how spies sent messages in the Revolutionary War). Then we discuss it as a large group. Kids may complete the comprehension questions in pairs and then we meet again as a group to discuss answers and observations. When the first passage is done, we save it in a special Paired Passage Folder, since we'll need to refer to it again when we use it to compare and contrast with the second passage. 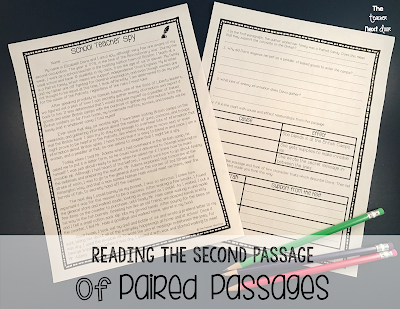 Now we read the second passage, just like the first in a large group and discuss it together and then complete comprehension questions about it, and put it in our Paired Passage Folder. The picture above shows the paired text for the Revolutionary Spy nonfiction passage, and this one is a fictional story about a school teacher during Revolutionary times, who worked on the side as a spy. 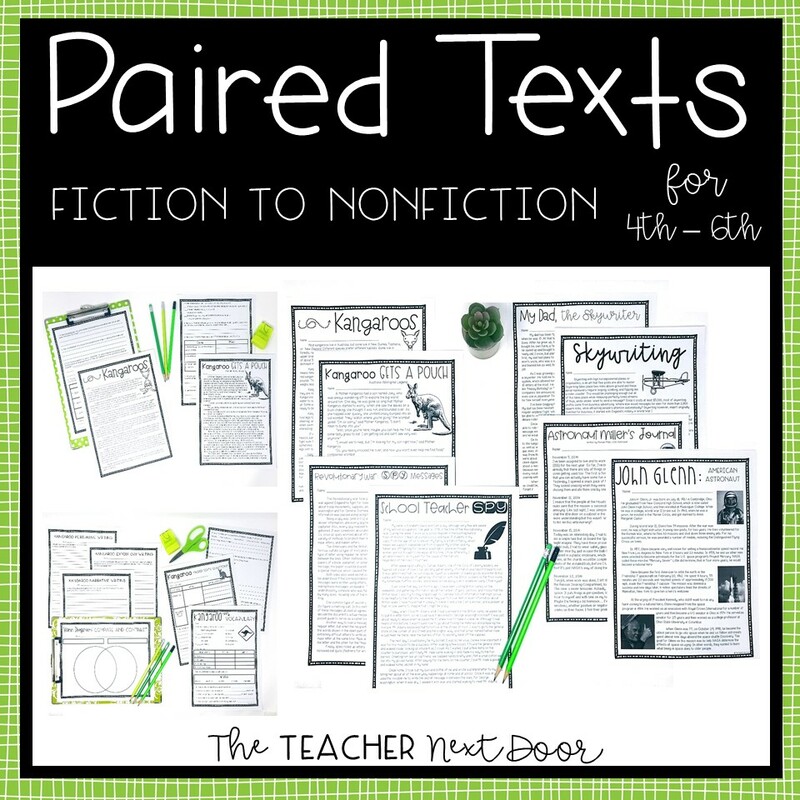 The reason I am mentioning this is that it is really important to choose paired texts which are interesting and which engage students. 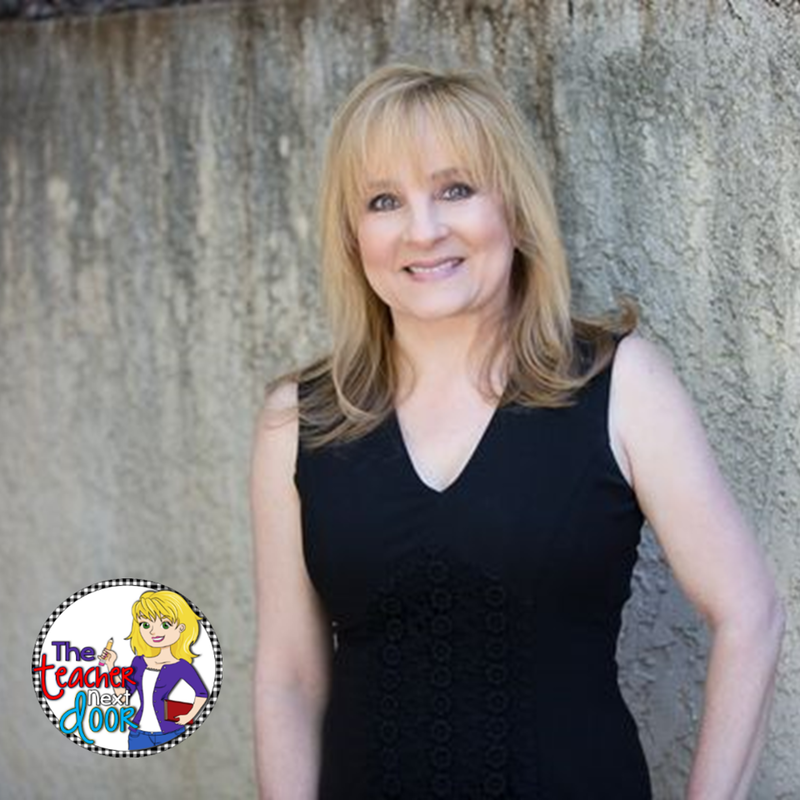 The more fun we can make reading (or anything in the classroom), the more buy-in we'll get from students, which leads to increased learning! Once students have read, discussed, and answered comprehension questions for both of the two texts, then it's time to get serious! Now we take some time together as a whole class (later in pairs and even later alone) to analyze connections between the two. Which passage helped you understand the topic better or was more informative? Which passage did you enjoy more and why? 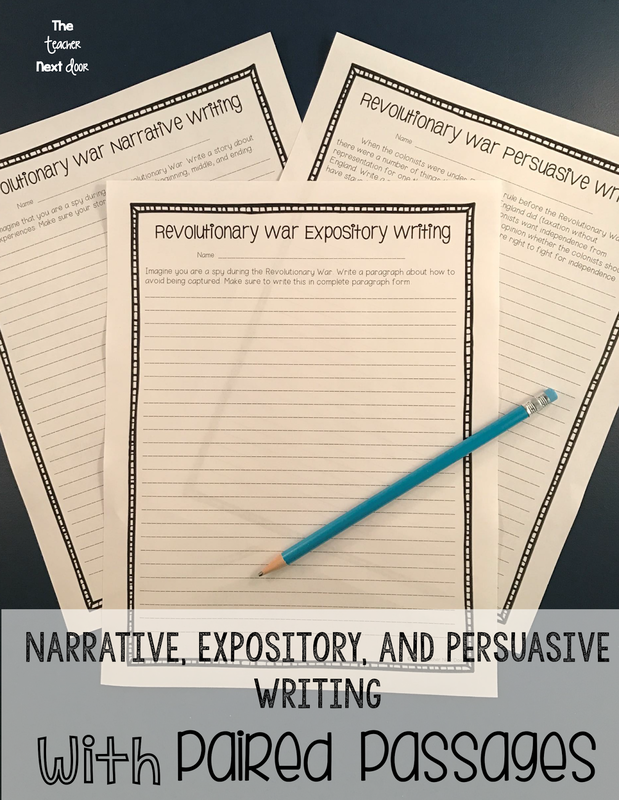 Once we've discussed these, students are ready to complete handouts which ask specific details about how the texts are alike and different. 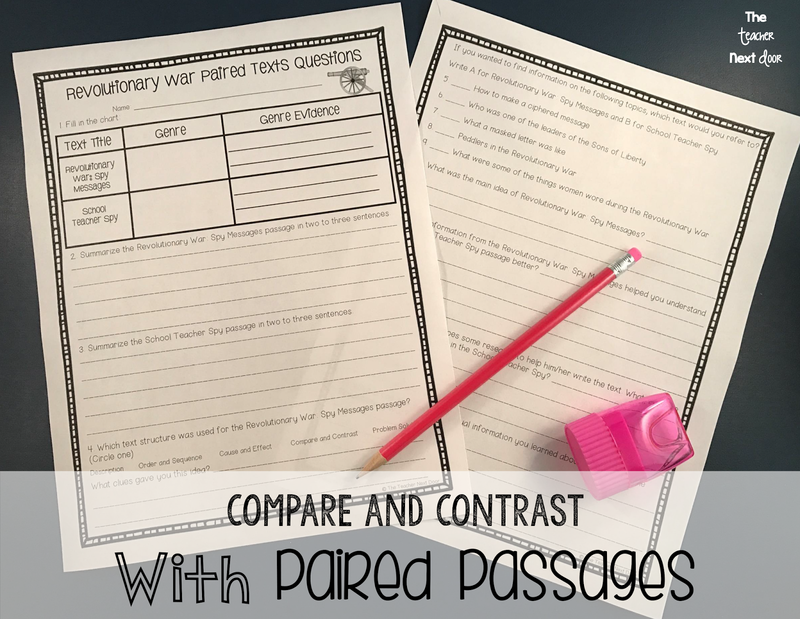 We may do these as a whole class, in pairs, or independently, as students are ready. I do like to have kids correct their own work (unless it is for a grade/assessment), so they know if they're on the right track or sometimes how to even find the right track! Some teachers like to front-load vocabulary, but personally, I like kids to practice using context clues during the process of reading to gain new vocabulary. 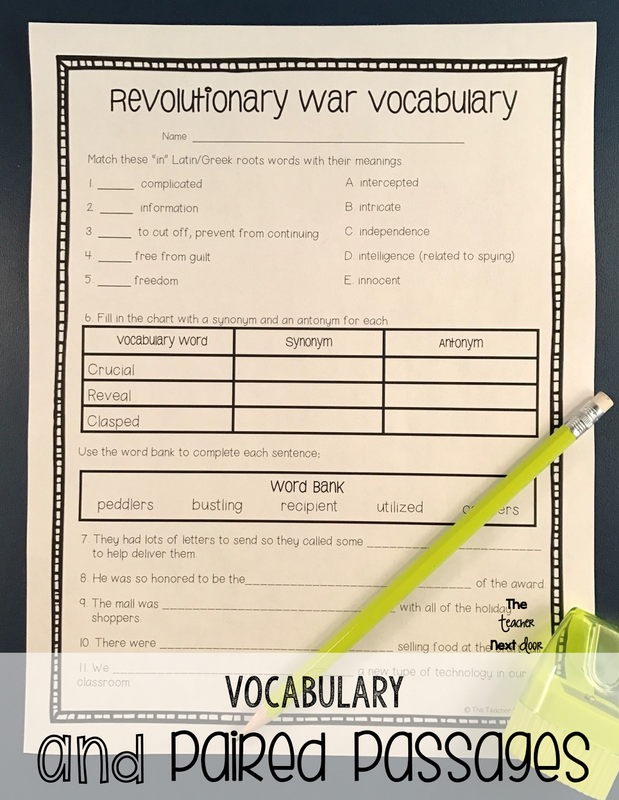 To me, using vocabulary after reading is a good way to reinforce and to build upon a student's understanding of vocabulary. I do like to use vocabulary handouts with paired passages in a number of ways. They're great for morning work, homework, for reading centers, or for a quick warm up before reading time. 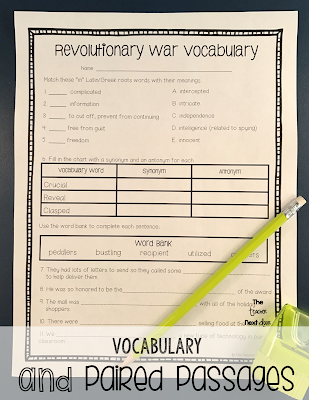 The vocabulary sheet shown has vocabulary from both the fiction and the nonfiction spy passages. Once we have finished all of the paired passages components, I like to have students do some sort of writing to go with what we have just read. 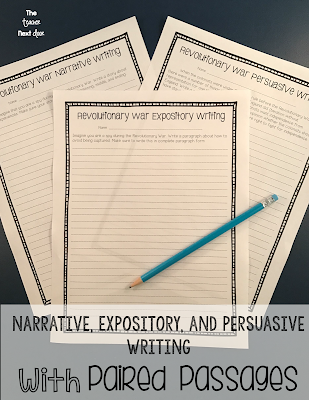 That writing may be narrative, expository, or even persuasive. 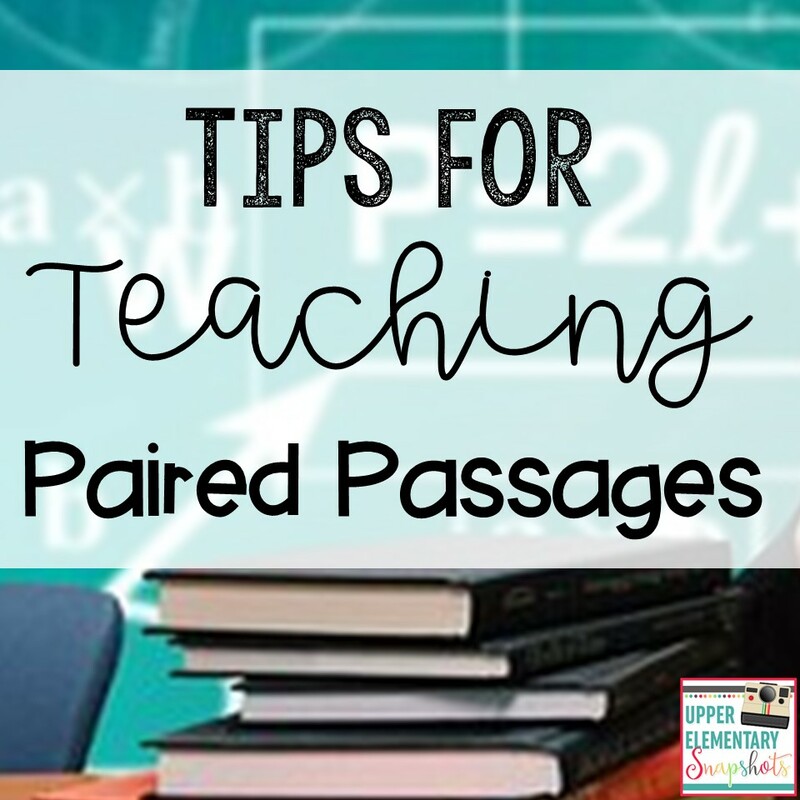 Generally, I choose one per set of paired passages, depending upon what we're working on in writing or what we need to review, but of course you can choose however many you like. 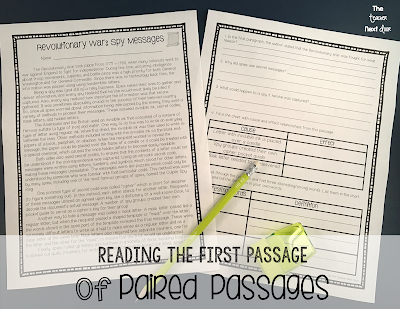 Once we've completed this process a number of times, most students feel comfortable with the concept and are ready to tackle paired passages on their own! If you're looking for some ready to use, print and go paired text units, I have several that I have created. 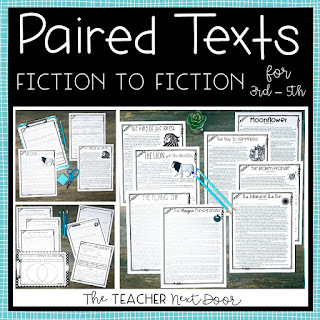 Each set comes with a number of paired passages, all of the comprehension question handouts, vocabulary, and writing activities for each paired text.